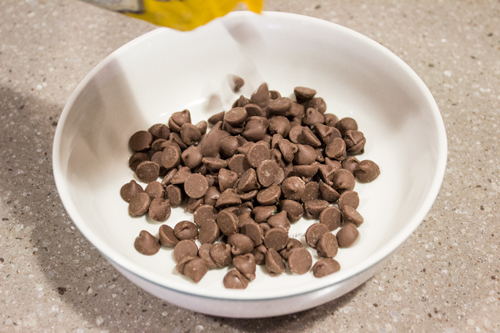 Step 1: Melt chocolate chips in a bowl. 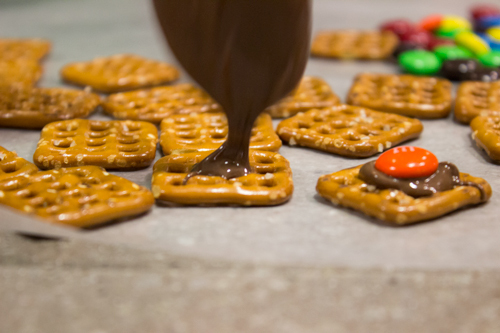 Step 2: Use a spoon put a dab of chocolate in the center of the pretzel. 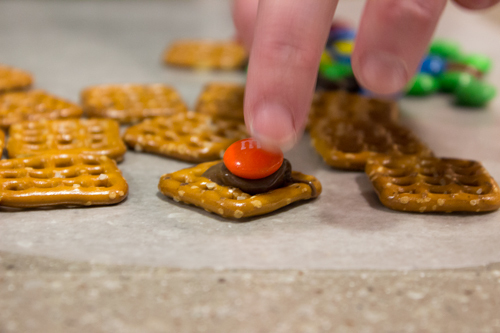 Step 3: While the chocolate is still soft, press an M&M “fish” into the center. 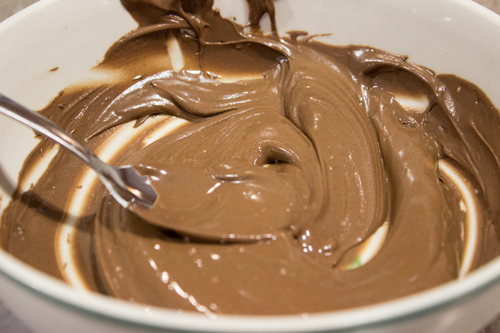 Step 4: Wait for the chocolate to cool and harden.